New fully serviced apartments in the heart of the Granite City. Located in one of the city’s most iconic buildings – our Aberdeen serviced apartments overlook the city’s Town House, historic Castlegate Square and offer spectacular city centre views. 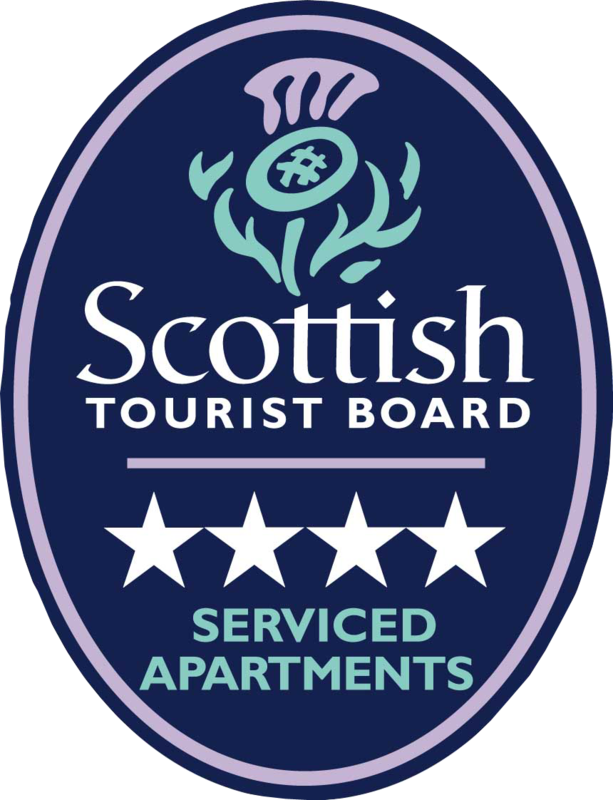 Newly refurbished in 2014, these 46 suites are operated by the Aberdeen Douglas Hotel. They are fully serviced with their own 24-hour reception desk on Union Street. Designed with high–quality bespoke finishings, furniture and upholstery – we offer studio, one bedroom and two bedroom apartments that are perfect for short or long term stays. Built between 1819 and 1822 by renowned Aberdeen architect Archibald Simpson, the building was originally a newsroom and reading room and in 1888 it became a well-established restaurant owned by popular businessman Jimmy Hay. Scot’s author Eric Linklater wrote eloquently of “Jimmy Hay’s Restaurant,” a name that stuck with an older generation long after it became the equally popular Royal Athenaeum Hotel and Restaurant. From the 1940s, the hotel and restaurant was a huge part of Aberdeen society. It played host to many prestigious events and civil functions and became a much-loved venue across Scotland for it’s exquisite food and service. In August 1973, it closed after fire destroyed its famous dining room and was converted to offices some years later. We are now delighted to present this beautiful refurbished building combining its old Georgian style with modern bespoke decor. These bright and spacious accommodations offer the perfect home away from home in breathtaking surroundings. Our suites overlook some of the city’s finest architecture – the Castlegate area, Union Street, the Town House and Marischal College. Aberdeen has plenty to offer visitors from theatre shows to music venues and art galleries to museums. For more information check out www.visitscotland.com and the Aberdeen Box Office at www.aberdeenperformingarts.com to find out what’s happening during your visit.